Imagine coming home after a long day of work only to find your home flooded. Despite the advances in technology, all water heaters will eventually break and require repairs. Regular maintenance certainly helps, however, these machines can still break over time. There are two types of water heaters. Perhaps the more popular choice in many of today’s new homes is the Tankless water heater. These units only produce hot water when it is needed. Benefits of this technology include less energy saving you hundreds of dollars. 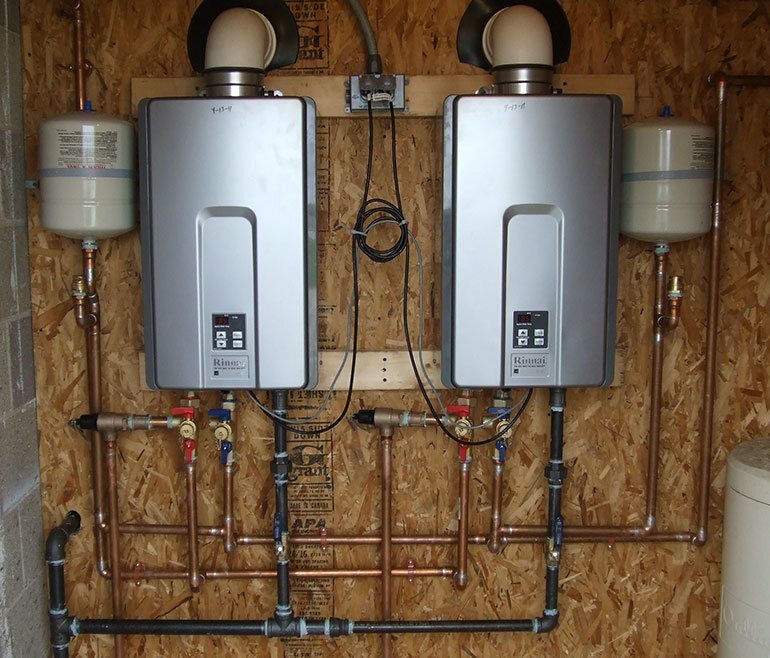 Unlike a traditional water heater, the water in Tankless units travels through a pipe and is heated by a heating element. Homeowners are provided with a continuous supply of hot water when they turn on an appliance such as a shower or washing machine. If you are experiencing problems with your tankless water, look no further than Cool Masters Heating and Air Conditioning! Our technicians have years of experience in the industry and have a thorough understanding of these complex machines. Whether you are in need of regular maintenance or water heater repair, we have you covered! If you require a new unit altogether, we can assist you in choosing the perfect machine for your home. We understand that this equipment can be rather expensive which is why we always analyze your needs to determine the best fit for your home. Don’t wait until your home is flooded to schedule an appointment! This can cost thousands of dollars in damages. If you live in Gwinnett County or the surrounding area and need water heater repair or installation, contact Cool Masters Heating and Air Conditioning today! Our team of experts is standing by to assist you. Cool Masters Heating and Air – see what it’s like to deal with HVAC professionals who truly care about quality work and customer service! Proudly serving Lawrenceville, Buford, Suwanee, Gwinnett County, Atlanta, and the surrounding area.